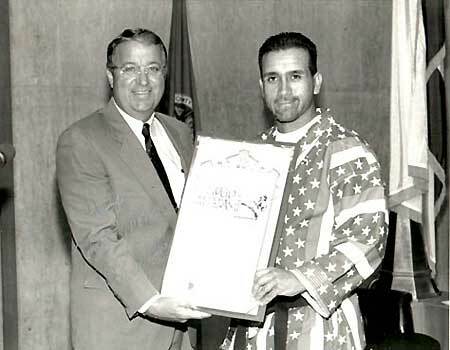 Hugo M. Rojas is recognized by the Los Angeles County Board of Supervisors (L) Supervisor Don Knabe and Hugo M. Rojas I.M.A.C. 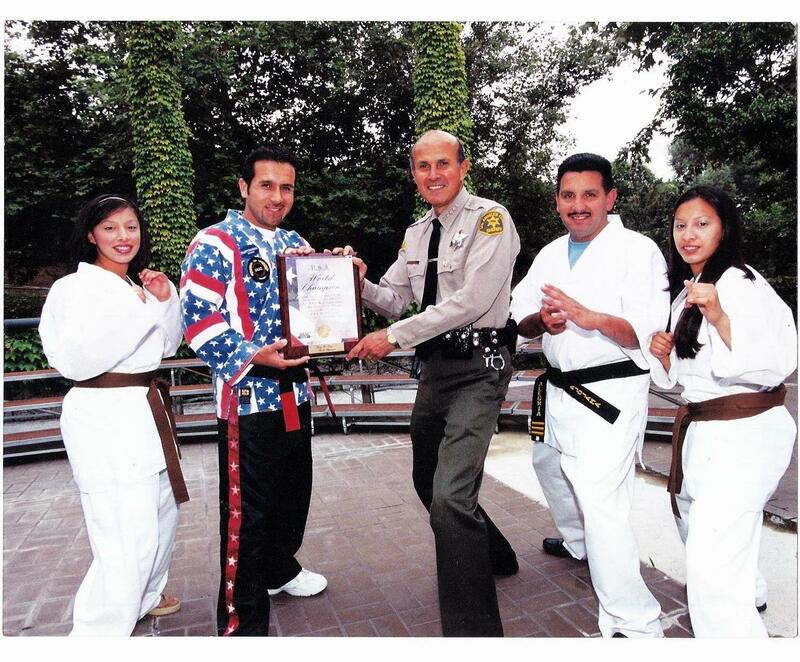 1997-2001 World Champion, Kenpo Master, 5th DAN Leroy D. Baca, Sheriff of Los Angeles County Hugo M. Rojas with Joe Alegria and Cassandra & Adrienne Alegria at Monterey Park Sheriff's Headquarters. 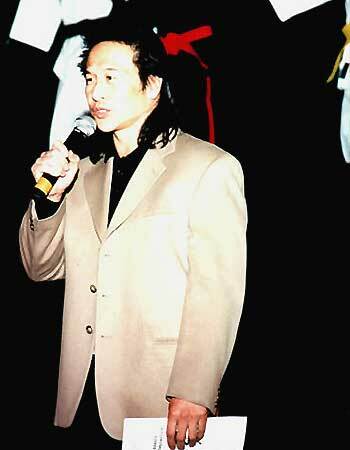 Hugo Rojas interviews Jet Li at Warner Bros. studios Burbank CA. 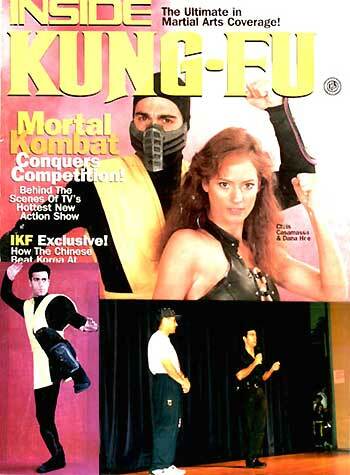 Far left "Super Kenpo Man" David George and celebrity appearances by Stephanie Cheeva, Peter Kwong at the California Youth & Karate Masters Celebrity Demonstration Century City CA..
Diana Lee Inosanto with husband Ron Balicki, special celebrity guests California Youth & Karate Masters Celebrity Demonstration Billy Blanks and Hugo Rojas hanging out in Inglewood CA. 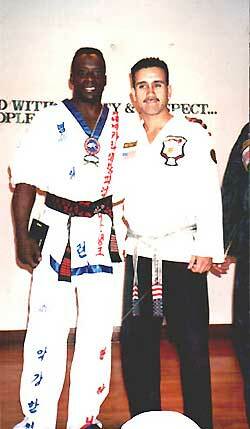 Don "The Dragon" Wilson film star and world champion kickboxer pose with IMAC World Champion Hugo Rojas. 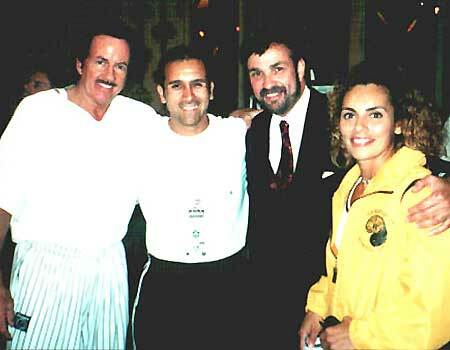 Bob Wall from "Enter the Dragon", Hugo Rojas, Judge for IMAC World Championship tournament, Stan Wittz founder of IMAC. 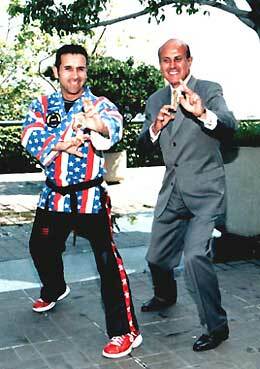 Special guest celebrity makes an appearance at the California Youth & Karate Masters Celebrity Demonstration Century City CA. 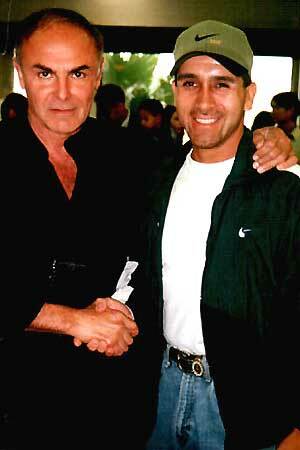 John Saxon pictured with Hugo Rojas, and no they did NOT fight. 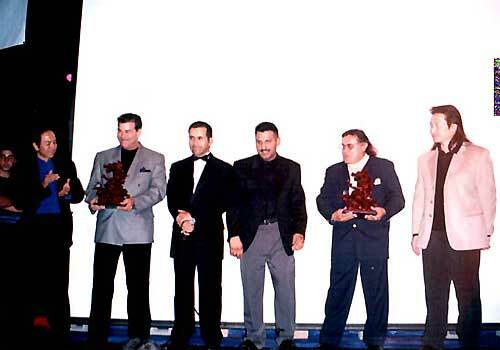 Event founder Hugo Rojas and chief coordinator Joe Alegria honor their instructors Vic Leroux and Richard Nunez masters of the martial arts presented by special celebrity guest Eric Lee and James Lew at the California Youth & Karate Masters Celebrity Demonstration Century City CA. 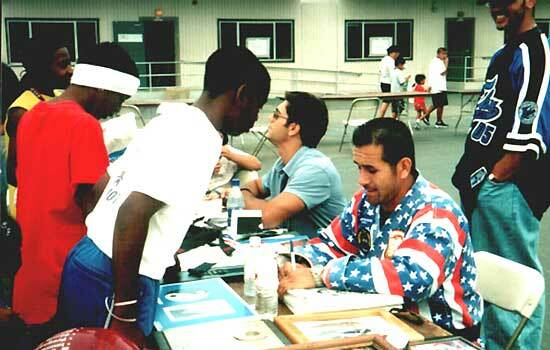 Richard Rabago a big supporter to the California Youth & Karate Masters Celebrity Demonstration Century City CA. 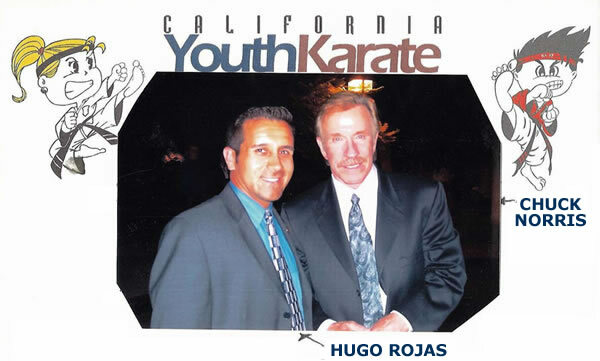 Hugo Rojas features Eric Lee's footage on big screen giving the 300 dinner banquet audience an exciting treat at the California Youth & Karate Masters Celebrity Demonstration Century City CA. 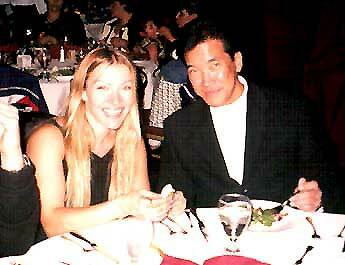 Cynthia Rothrock who quoted Hugo Rojas as being an excellent performer at the All American Black Belt Championships at the UCSB. Special celebrity guest Joycelyne and James Lew they are NOT related, but look great together at the California Youth & Karate Masters Celebrity Demonstration Century City CA. 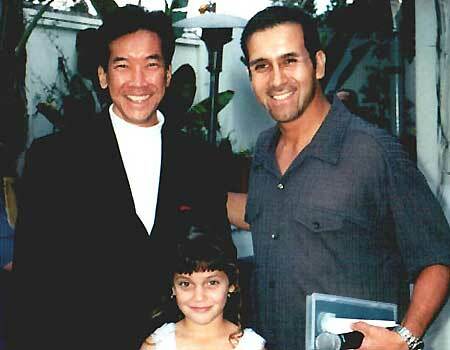 Peter Kwong, Alexsis (Hugo's Niece) in the outdoors of The Century Club patio. 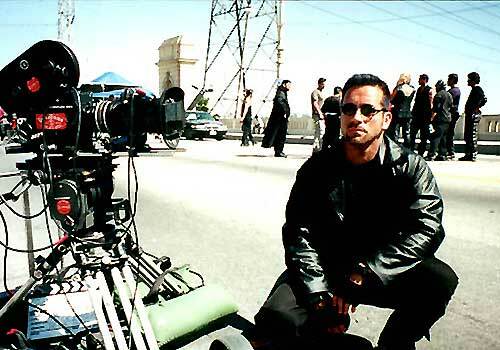 On the set of Gangland Hugo Rojas fights with Victor Webster from kickboxer 4, Days of our Lives on 3rd St. bridge Los Angeles CA. Chris Cassamassa makes special appearance and brings smiles to kids in attendance at Health and Safety Youth Sports Fair. Chris and Hugo sign autographs for kids at Hawthorne School District event. 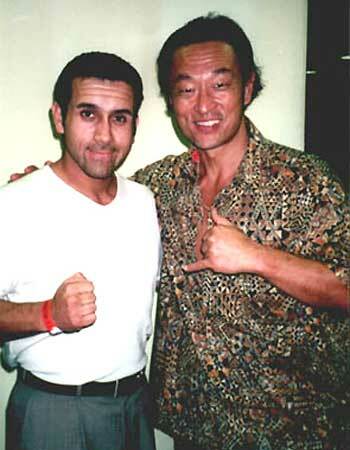 Hugo Rojas and Cary Tagawa. 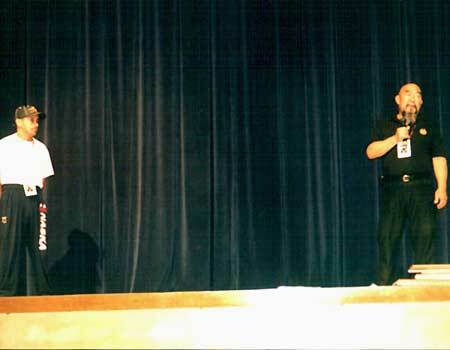 Gerald Okamura makes a special apperance at the 2nd Annual California Youth & Karate Masters Celebrity Demonstration; he is also the host of Dragon Fest, (visit www.dragonfest.com). 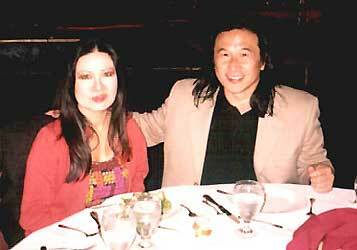 Sharron Tay KTLA Ch. 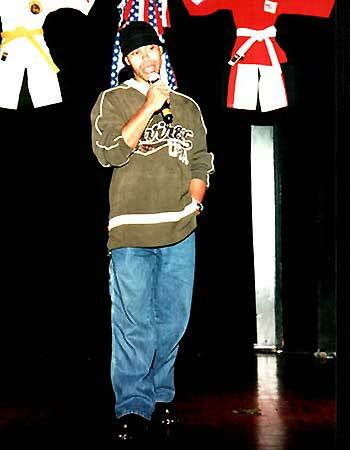 5 in a perfect stance with Hugo Rojas. 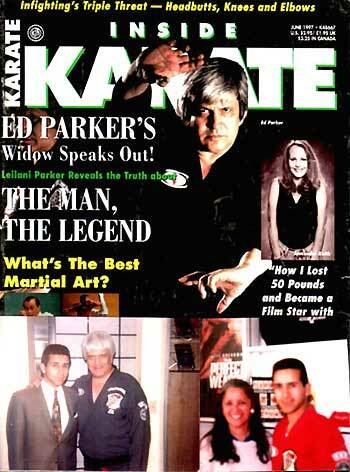 Kenpo practictioner Hugo Rojas pictured at the Santa Monica Kenpo School with the legendary Edmund K. Parker the father of American Kenpo Karate, personal bodyguard to the great Elvis Presley and responsible for the launch and exposure of legendary Bruce Lee's career. 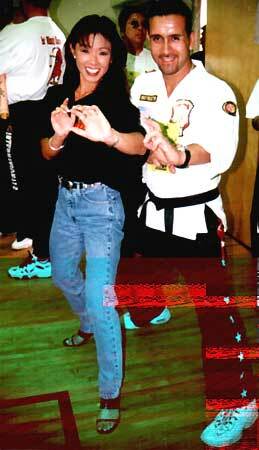 Pictured on the right at the Pasadena Kenpo School is Ed Parker's wife Lelani Parker. 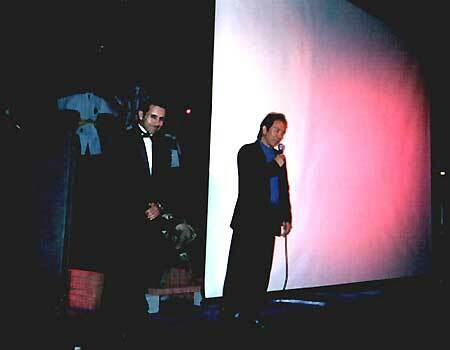 Chriss Cassamassa Mortal Kombat as "Scorpion" WMAC Masters, "Red Dragon" stunt double for George Clooney in Batman, The Karate Kid. 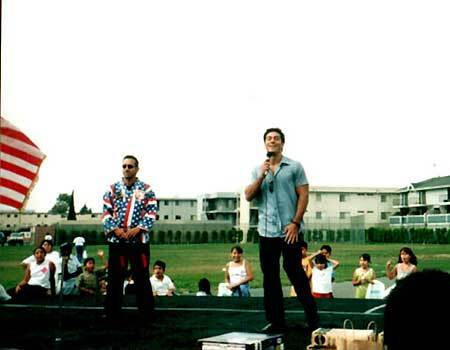 (pictured at 2nd Annual with Hugo Rojas held at Leuzinger High School Lawndale CA. 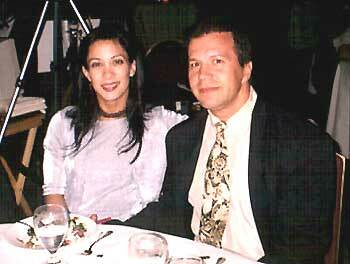 Hugo with Sheriff Leroy Baca for the County of Los Angeles.